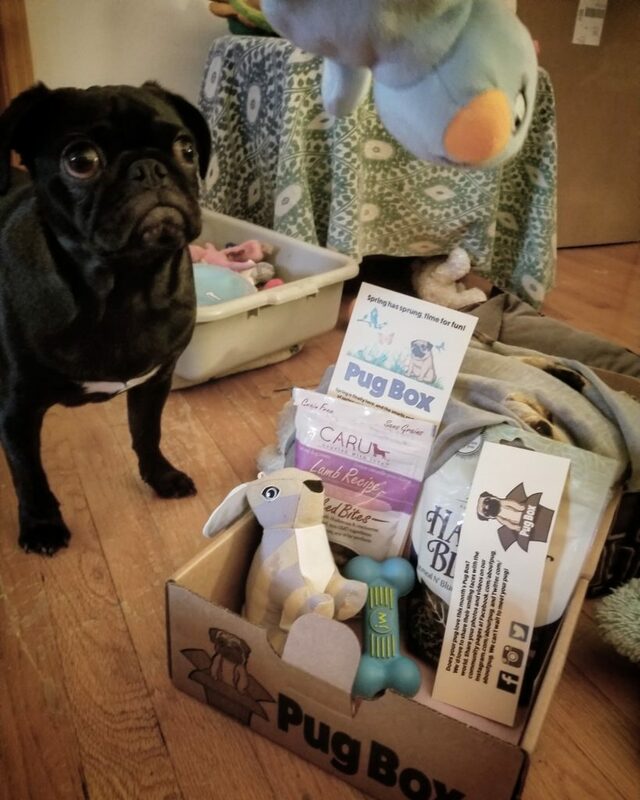 The beautiful Miss Sophia is excited about her Pug Box! ❤️ Thanks Michele for sharing her adorable photo! 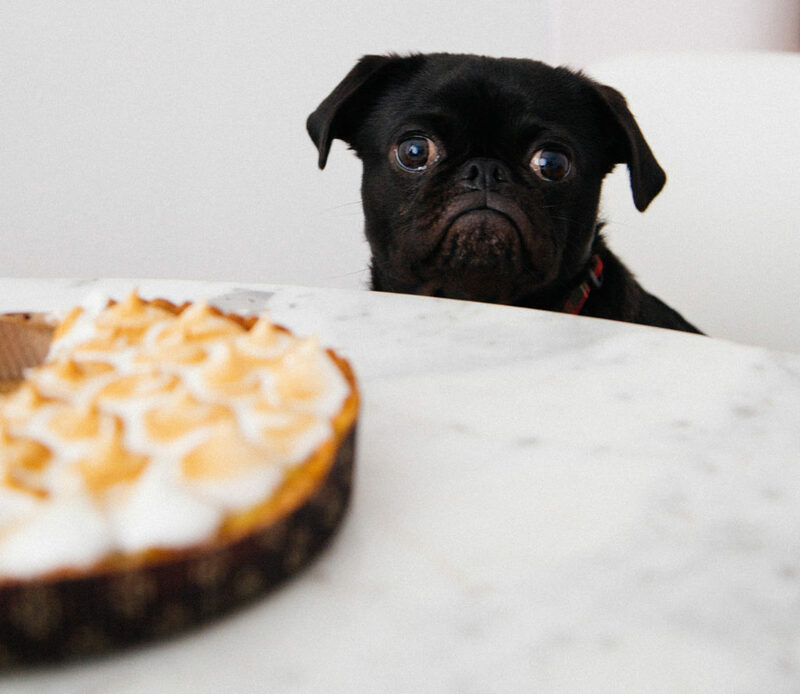 Visit pugboxes.com to join the fun! Get ready for a spook-tacular surprise!!! 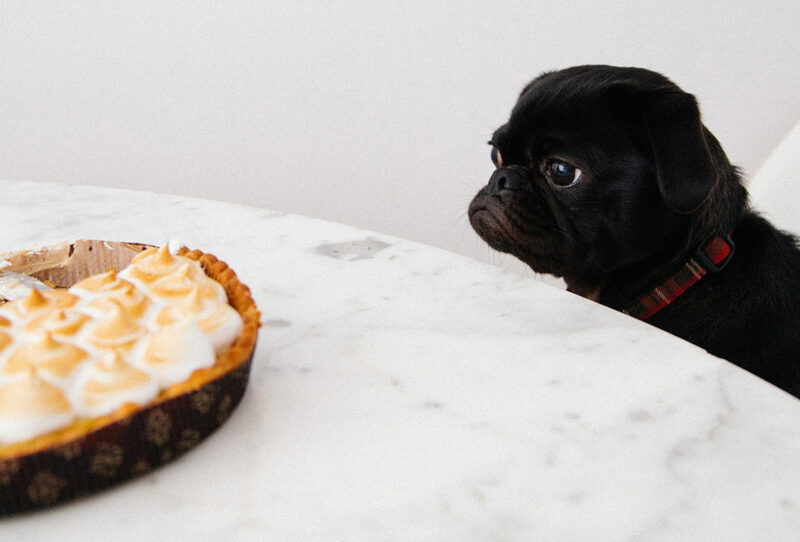 Each year, our Halloween Pug Boxes are a fan favorite! Get excited because our spook-tacular surprise box is shipping out next week! Visit https://www.pugboxes.com/ to reserve yours today before they disappear! 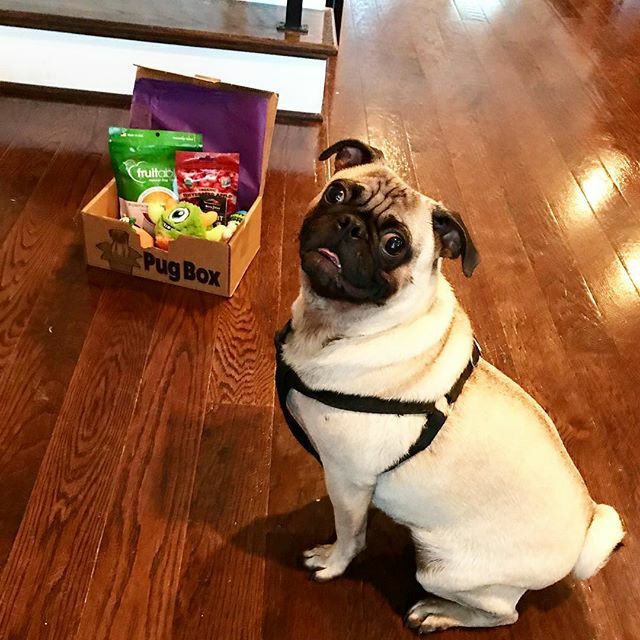 Pug Box conveniently delivers an assortment of treats, toys, and pug-themed items directly to your door each month to create more pug-tastic moments for you and your precious pooch! 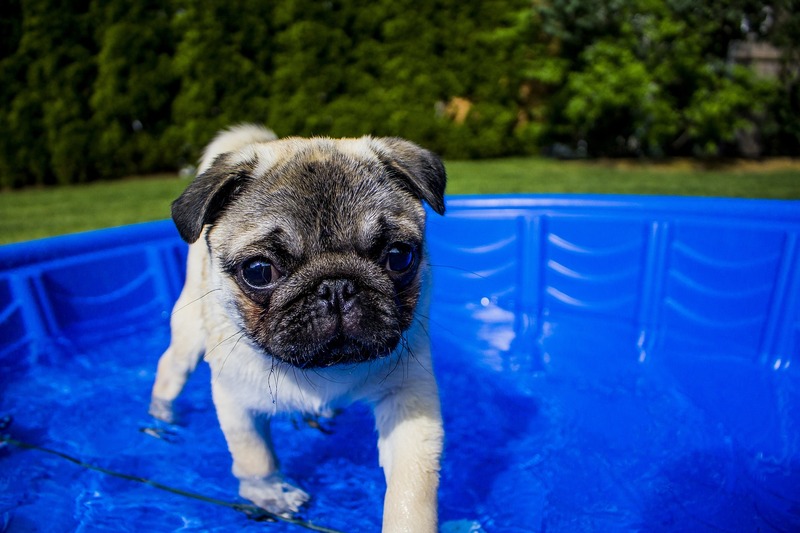 It’s the Pug Box final countdown! 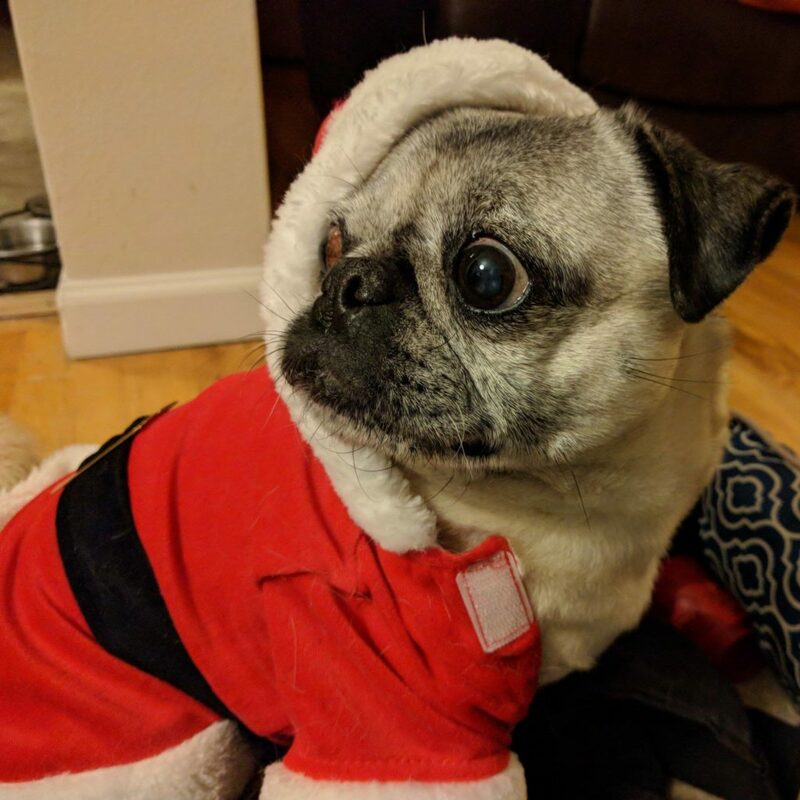 Pug Box shipping day is less than one week away!!! 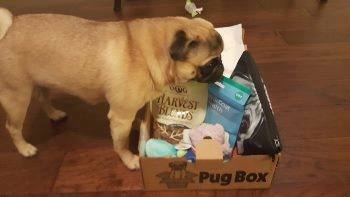 Join the handsome Mickey the pug and all of our other pug pals in celebrating with your very own Pug Box!  A big thank you to Christine for sharing Mickey’s awesome photo! Visit https://www.pugboxes.com to learn how you can get your very own Pug Box! 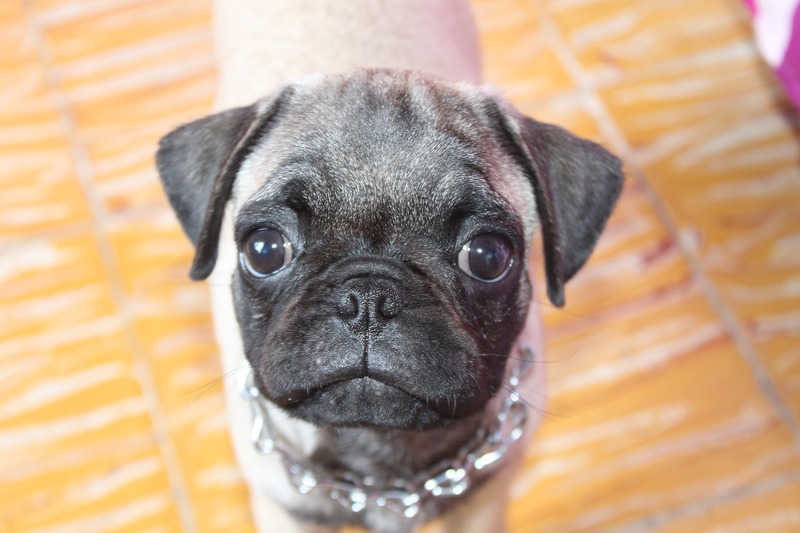 It’s National Puppy Day today, and what better way to celebrate than to spend some quality time with your favorite pug! Starting the week off in style! Mondays can feel kind of tired and uninspired when you have to get back to the computer screen after a great weekend. If you want to spice up the start of your week, try experimenting with fun new accessories for you and your pug! 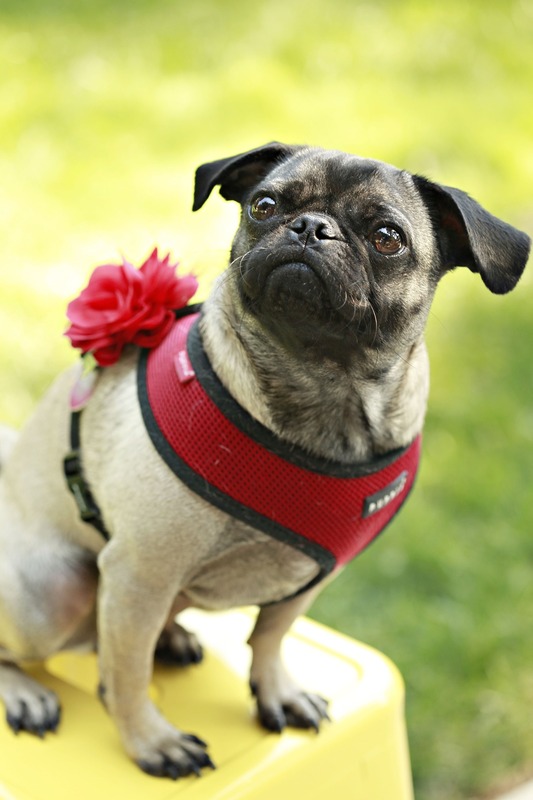 This pug has the right idea with the picture-perfect floral accent on her harness! 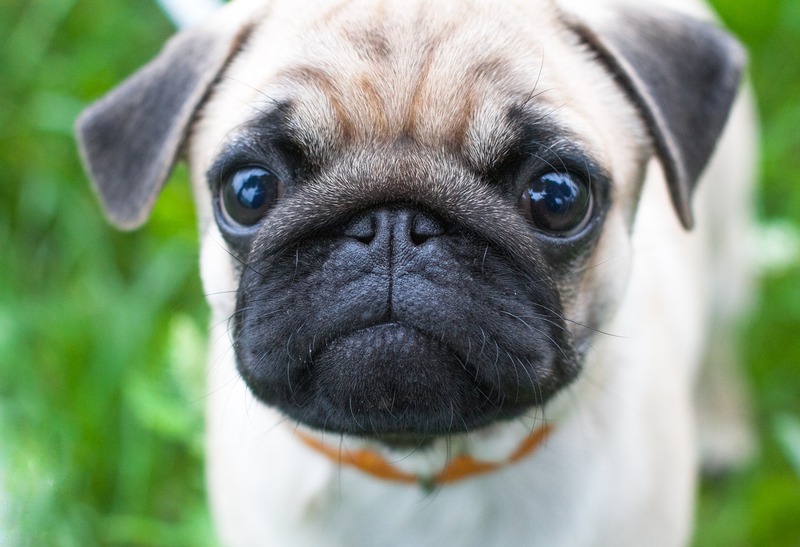 We can’t resist the adorable squishy face of a pug puppy! This incredibly photogenic pup is wishing there were less pictures and more play time! 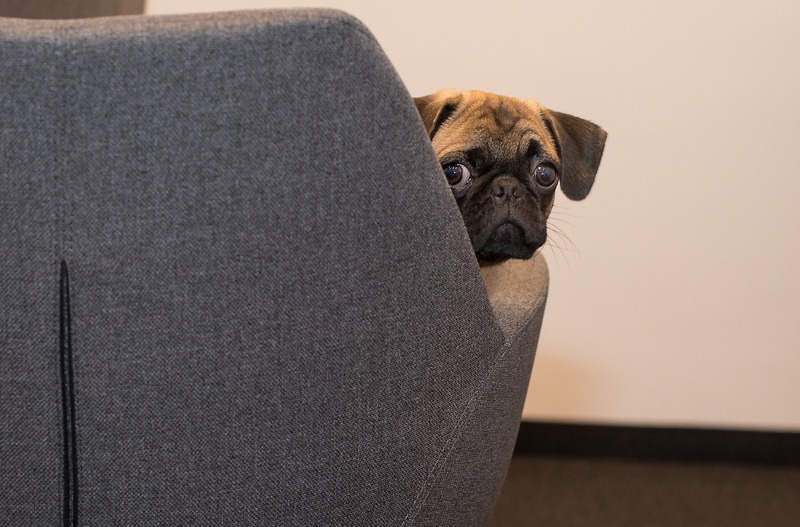 Playing with a pug makes even the best day better, and this cute pug puppy is playing a fun game of peek-a-boo on the couch!